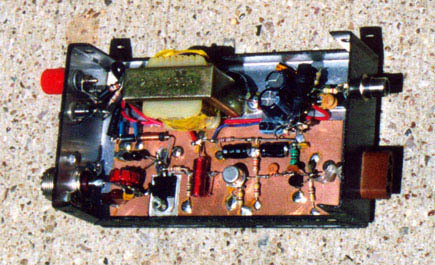 The "grenade" is a 10 watt AM transmitter for the 40 meter band. It was designed, built and sold by "Radio Animal" of WKND. To protect his design he removed the ID numbers from all the transistors and change some of the color codes on the resistors. He no longer builds or sells the "grenade". So for those of us who wanted one, we were up a creek. I've wanted one ever since I had read Pat Murphy's article in a 1996 issue of Pop Comm magazine. I saw on a flyer, featured in the article, that there was a contact address. I sent off for more information, like a lot of others I hear, and heard nothing back. I guess he may have been inundated with requests, or "something". Years later, a guy who I had sold a few things to told me that among the equipment he had was a "grenade". On a whim I asked to borrow it to look it over, and to my surprise he said "sure"! Wow! Thanks! 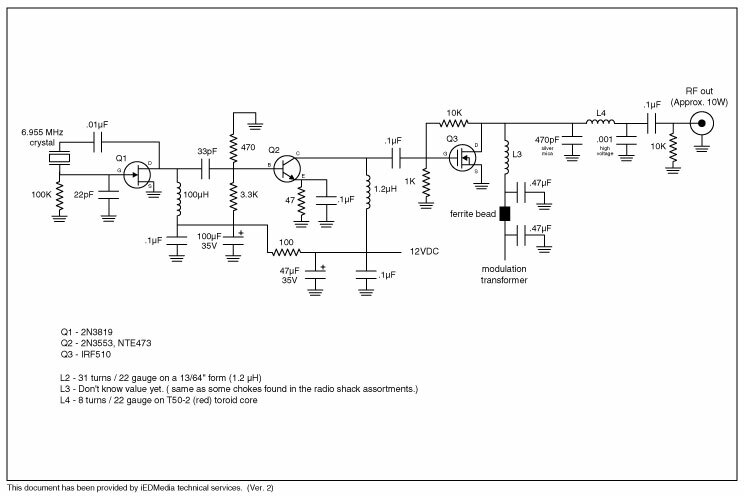 Reverse engineering the circuit, wasn't too complicated. The numbers on the transistors were sanded off and some of the color bands on the resistors were blacked out with magic marker. He even added a capacitor in-line with the positive power line. Hidden under the cap, out of view, was a little jumper wire. If you were to look at it and try to built it with that cap in line with the positive lead it wouldn't work (capacitors block DC...). Sneaky, sneaky guy. It's been a while since I've updated the site. Heck, I haven't even been doing much with pirate radio in general for the past six months. I do plan to remedy that in the near future. Once the band clears up a bit, I'm going to run a few tests and see what little bugger will do. 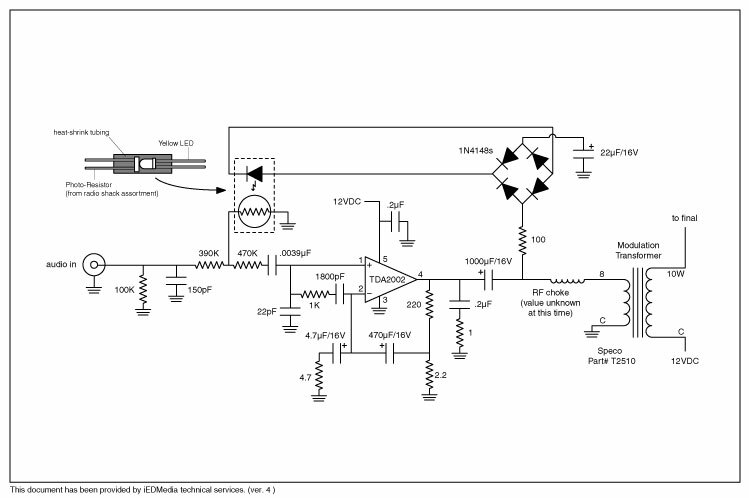 The folks at Crystal Radio over in Europe have build a 'nade. Have you built a Grenade? Want to see it here? Send me your photos and comments and we'll post 'em.